There is a scene where they are leaving the building where they have just changed their name, and they are laughing and happy. My heart was sad shooting those shots, my heart was sad editing the scene, and my heart is sad every time I see it, because I know this was the first and the greatest mistake they made. I want to yell at them, Why are so happy. Are you crazy? If theres no God, and there never was a God, then why do we miss him so much? Istvn Szab is haunted. Born in Hungary in 1938, he began his career as a writer-director right after high school, attending an academy for theater and film, where he cut his teeth on shorts before graduating to features. Before he was 30 years old, he was making films about the intersection of his personal history and the tumult his nation had seen in the twentieth century. He was drawn to the occupation of Hungary by the Nazis during the second world war, the passing of the torch to the Communists, the peoples uprising of 1956; all things that had shaken his homeland and reshaped his own family. These things sound so long ago now, but thats something else that Szab would explore in his work the way history isnt really history, and how were never free from our past or our past selves. Over and over again, Szab would return to the wars that had sent cracks through Europe in the first half of what was supposed to be a century of tolerance and progress, finding new ways to explore what it was like to come of age in such a time. He also became increasingly focused on what wed today call identity politics: the meaning of ones name, faith, heritage, and fortune, and the degrees to which were willing to compromise those things when we tell ourselves such compromises are necessary for our success. In other words, Szab was worried about the high personal cost of surviving in a world that always seemed ready to strike you down, and in 1999, he made a masterpiece about what it takes to keep going: Sunshine. Sunshine is the kind of historical drama to which one can apply descriptors like sweeping and grandiose without sounding hyperbolic. It deals with the members of the Sonnenschein bloodline, a family of Hungarian Jews, from the late-nineteenth through the mid-twentieth century, and while it technically touches on five generations, three of them form the core of the film. 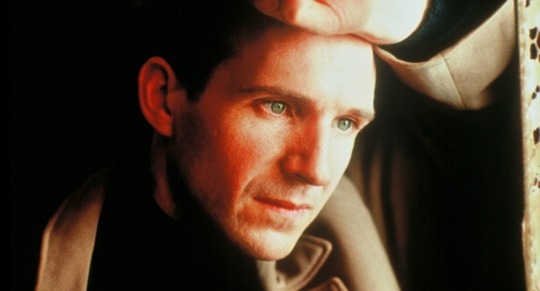 In a move that could have been a gimmick in less capable hands and might have proved disastrous with a less worthy performer, Ralph Fiennes gracefully plays three successive generations of Sonnenschein men: Ignatz, born in the late 1800s and eventually involved in the politics and military operations of World War I; Adam, who reaches adulthood in the 1930s as the Nazis are coming to power; and Ivan, who survives a labor camp and grows up to work for the Communist regime. Szab, who co-wrote with playwright Israel Horowitz, is fascinated the evolution of identity and the tension between assimilation and independence. The name Sonnenschein means sunshine, and its easy to see the association with light, clarity, honesty. Its by light that we see. The film, though, is a look at what happens when identity gradually erodes and the light begins to dim, and it starts with the names. Ignatz, a promising lawyer, is told that he needs a more Hungarian read: less Jewish name if hes going to become a judge, so he decides to change his surname to Sors. His siblings go along with the name change, too: Ignatzs brother, Gustave (James Frain), and their cousin, Valerie (Jennifer Ehle), who grew up in their home after her father died and was raised as their sister. When they change their name, theyre almost giddy with the possibilities before them, and they practically prance out of the government building where they completed the paperwork. But Szab doesnt rejoice with them, and the gentle camera and absence of music lend the moment a kind of sadness. This is the first step in giving away who you are: to forfeit your name in an attempt to fit in. The sunshine has been hidden, and darkness is allowed to seep in. The siblings picked Sors for its sound, but also, ironically, for its meaning: fate. István Szabó is haunted. Born in Hungary in 1938, he began his career as a writer-director right after high school, attending an academy for theater and film, where he cut his teeth on shorts before graduating to features. Before he was 30 years old, he was making films about the intersection of his personal history and the tumult his nation had seen in the twentieth century. He was drawn to the occupation of Hungary by the Nazis during the second world war, the passing of the torch to the Communists, the people’s uprising of 1956; all things that had shaken his homeland and reshaped his own family. These things sound so long ago now, but that’s something else that Szabó would explore in his work — the way history isn’t really history, and how we’re never free from our past or our past selves. Over and over again, Szabó would return to the wars that had sent cracks through Europe in the first half of what was supposed to be a century of tolerance and progress, finding new ways to explore what it was like to come of age in such a time. He also became increasingly focused on what we’d today call identity politics: the meaning of one’s name, faith, heritage, and fortune, and the degrees to which we’re willing to compromise those things when we tell ourselves such compromises are necessary for our success. In other words, Szabó was worried about the high personal cost of surviving in a world that always seemed ready to strike you down, and in 1999, he made a masterpiece about what it takes to keep going: Sunshine.